Finals week is fast approaching for many students in high school! Finals week can be very difficult and terrifying for many students that are struggling in school. They know they have to perform well on these important tests, but worry and stress about grades if they perform poorly. Finals week can be a very tough and intense week for any student. First, the test is a huge part of the overall grade, which brings extra test anxiety to students. Next, students may have 2 or 3 major tests each day! How is a student supposed to study for three tests in one night!! Then, if 3 huge, important tests in one day wasn't bad enough, they have to endure that for the next week! This is enough to make any student stress over this heavy workload! So what is a student to do! 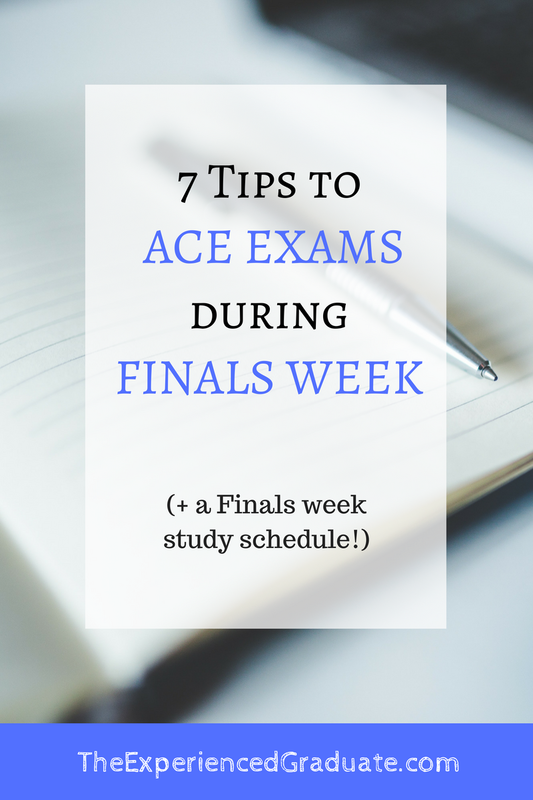 Here are a few tips to focus on to do well on Finals. (See below for a study schedule). Easier said than done, right? Try, try, try not to stress. The more your teen will stress, the harder it will be to focus on studying. 2. DO NOT WAIT TILL THE NIGHT BEFORE TO STUDY. Just don't. If your teen waits till the night before to START studying, then they are setting themselves up for failure. 3. Start reviewing for the test 2 weeks before. Start reviewing all your notes for the test 2 weeks prior to the test date. A review is taking 10 to 15 minutes to read through your notes for the test. Try to take these 15 minutes every day leading up to the week of the test. A little review each day will make big study sessions so much easier! 4. Ask for the notes. If the teacher has not given your teen any study notes for the finals test, have your child ask about notes during class. Most teachers will take a few days to review the test. Some teachers may expect your child to study on their own. Always ask. IF the teacher says no to giving your child study notes, have your teen go after school to the teacher for some extra study help (if the teacher allows it). It never hurts to ask! Have your child ask around to see if any students are in a study group. A study group can benefit your child in several ways. First, they have someone to share notes with. This is very important, especially if your child is not great at taking notes. Second, it gives your child someone to study and review with. But do NOT let your child create a study group with friends! Studying with friends usually ends in "hanging out' rather than in any actual studying. 6. Do NOT stop studying! It shocks me every time I hear how some students "study". Some students think that reading over their test notes for 30 minutes is studying. Reading something for 30 minutes is called a review. It is NOT studying! To study the test notes, your child needs to read, review, and test themselves, or have some one test them. Once they have done this, if they still do not know EVERYTHING on their study notes, then they need to start over again. Read, review, test themselves. Don't stop studying everything, until you know everything! This is where you can help! You can test your child every night on the notes they are studying. Then you can see how much they have memorized, and how much more they still need to study and review. Weekend before Finals week: Study for 1 hour for test one, study for 1 hour for test 2, 15 minute break, 15 minute review per class, Repeat. Day 1 of Finals: Study for 1 hour for test one, study for 1 hour for test 2, 15 minute break, 15 minute review per class, Repeat. Day 2: Study for 1 hour for test one, study for 1 hour for test 2, 15 minute break, 15 minute review per class, Repeat. Day 3: Study for 1 hour for test one, study for 1 hour for test 2, 15 minute break, 15 minute review per class, Repeat. Day 4: Study for 1 hour for test one, study for 1 hour for test 2, 15 minute break, 15 minute review per class, Repeat. If your teen can focus, stay calm, and concentrate on what they study, they can perform well on any test and finish the school year strong!